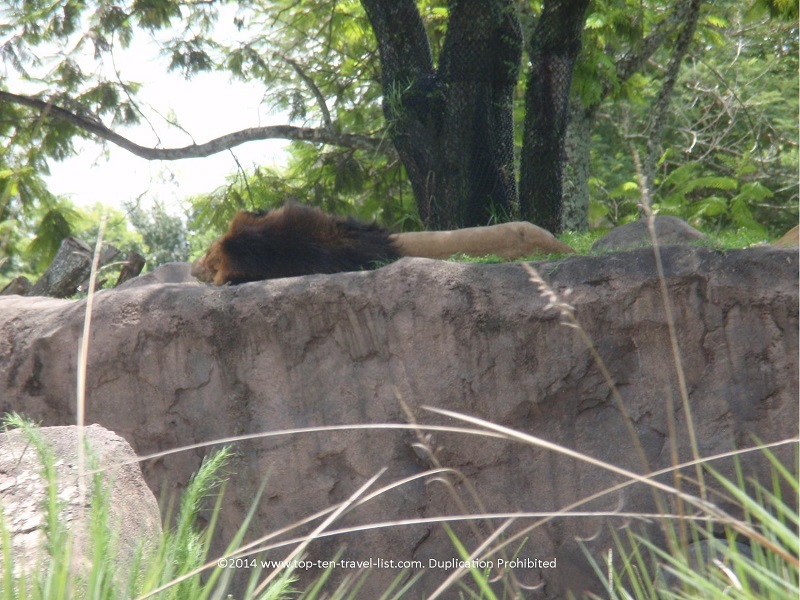 Attraction of the Week: Disney's Animal Kingdom - Top Ten Travel Blog | Our experiences traveling throughout the US. Walt Disney World is home to 4 wonderful theme parks: the Magic Kingdom, Epcot, Hollywood Studios, and Animal Kingdom. 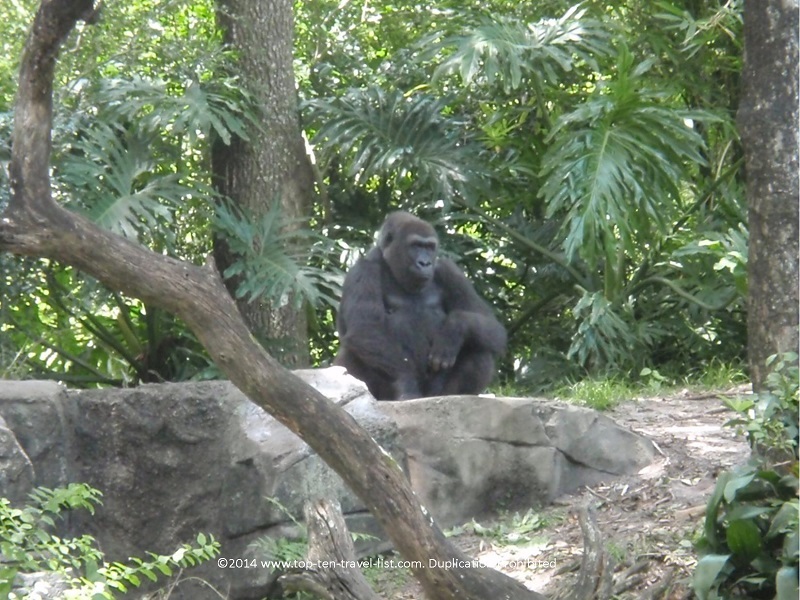 Although not the most popular, Animal Kingdom is definitely worthy of a one day visit during your Disney vacation. It is one of the world’s largest theme parks, with a variety of attractions, shows, and even a 3 hour safari tour (extra fees apply). 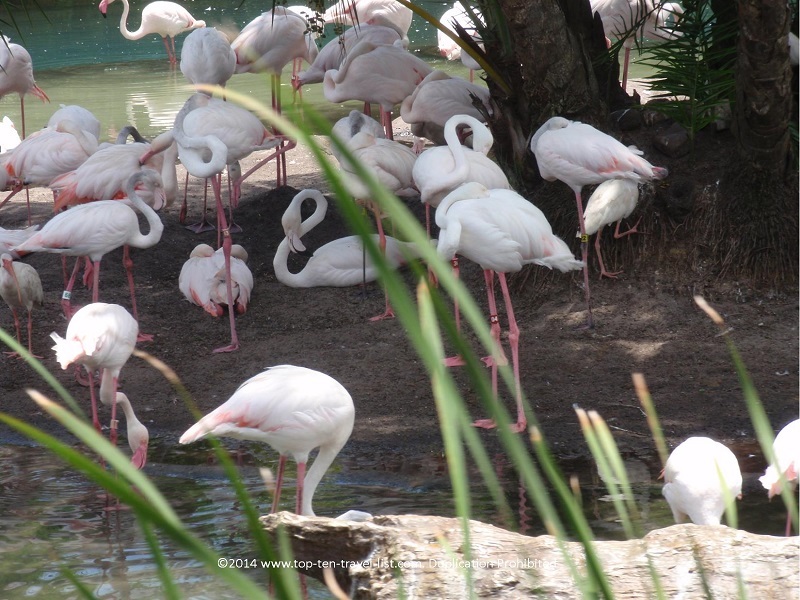 It’s Disney’s largest park with more than 1700 animals inhabiting the 500 acres. It also happens to be the newest addition to the Disney park, with an opening date in 1998. 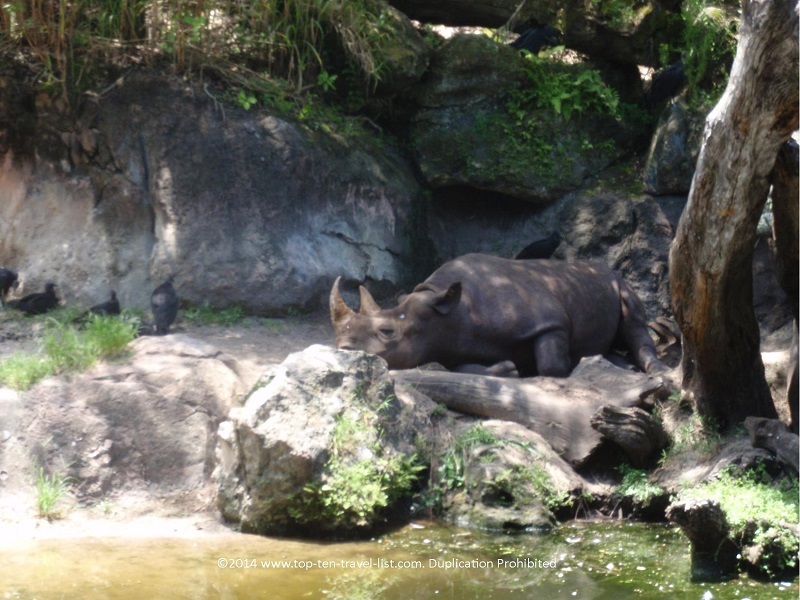 There are plenty of great attractions to be found at Disney’s Animal Kingdom, especially the 2 major thrill rides: Expedition Everest and Kali River Rapids. 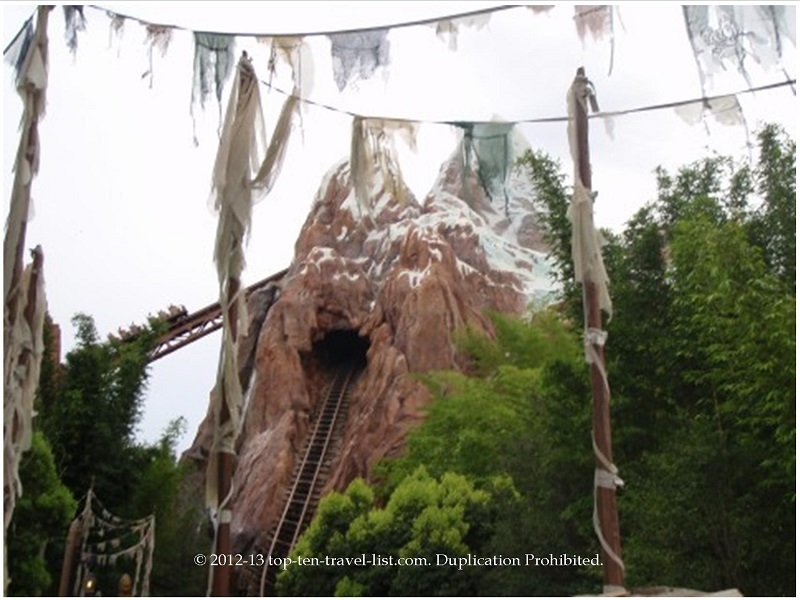 Expedition Everest is an exciting, special effects filled roller-coaster with an exciting final drop. Kali River Rapids is an exciting water ride similar to Popeye and Bluto’s Bilge Rat Barges at Universal’s Islands of Adventure. This exciting ride features a circular shaped raft large enough for 12 passengers. As you twist and turn down the river you will get absolutely soaked, which is great because most days at the park at insanely hot. Dinosaur is another thrill ride which takes you through an exciting journey through a dark forest in search of a dinosaur. Another must is Primeval Whirl, a unique spinning roller coaster ride that the whole family will enjoy. The ride is exciting, although not too intense. All ages rides include TriceraTo Spin, a flying dinosaur ride and the Wildlife Express Train, a scenic train ride through the park. 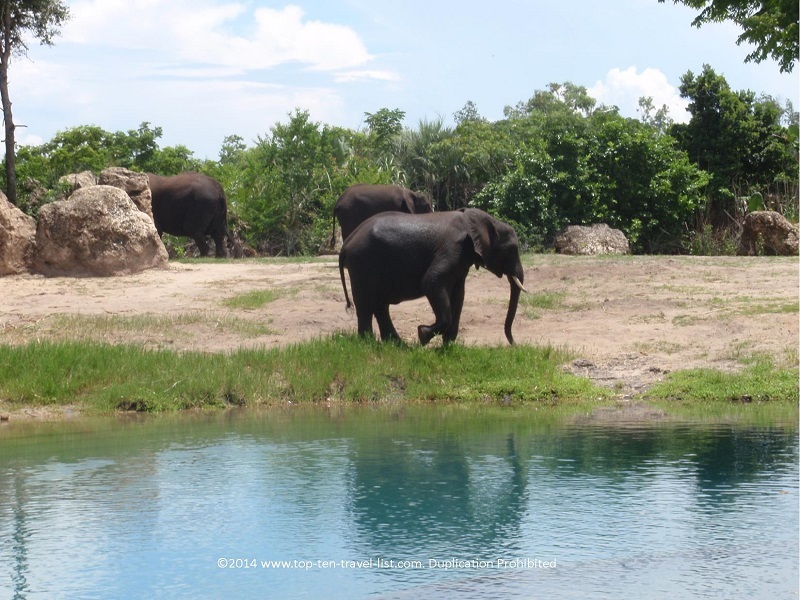 Kilimanjaro Safari ride is the highlight of Animal Kingdom. 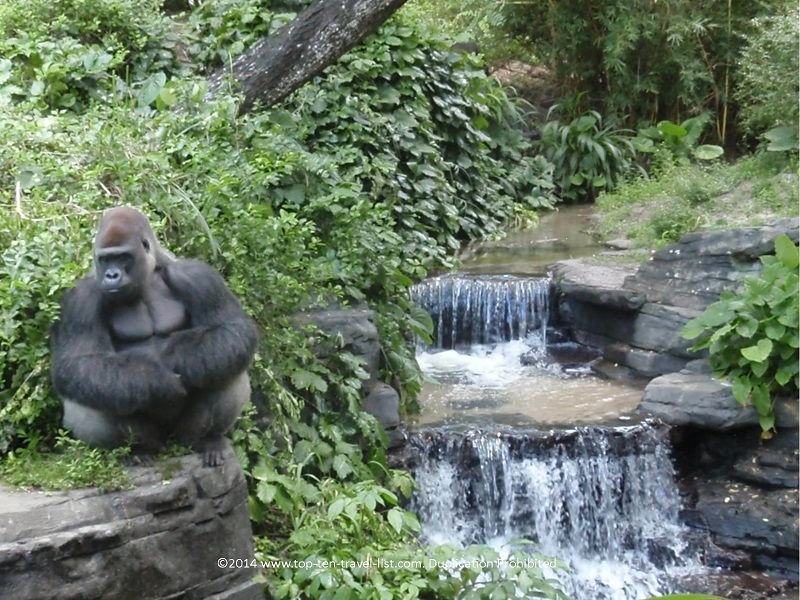 This relaxing 20 minute safari ride takes you through the beautifully landscaped Harambe Wildlife Reserve. 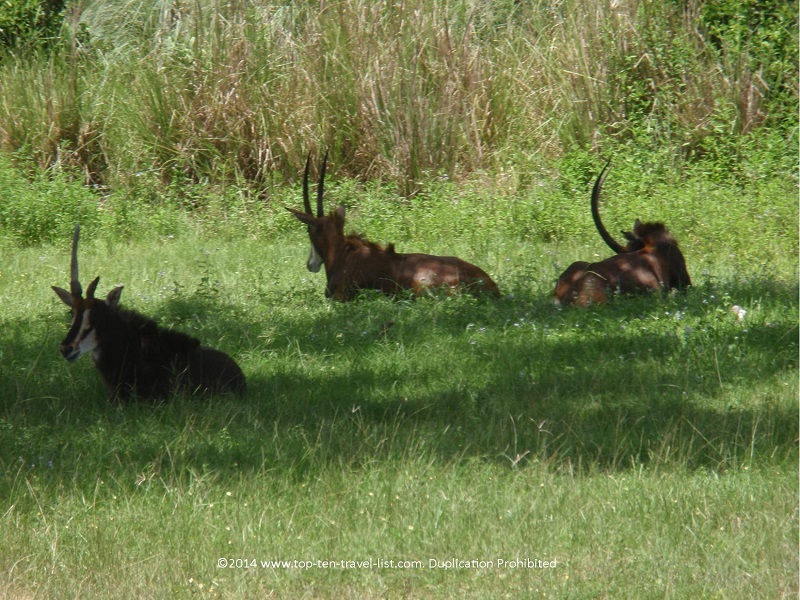 You will see all different sorts of African animals including: Elephants, Giraffes, and Zebras. 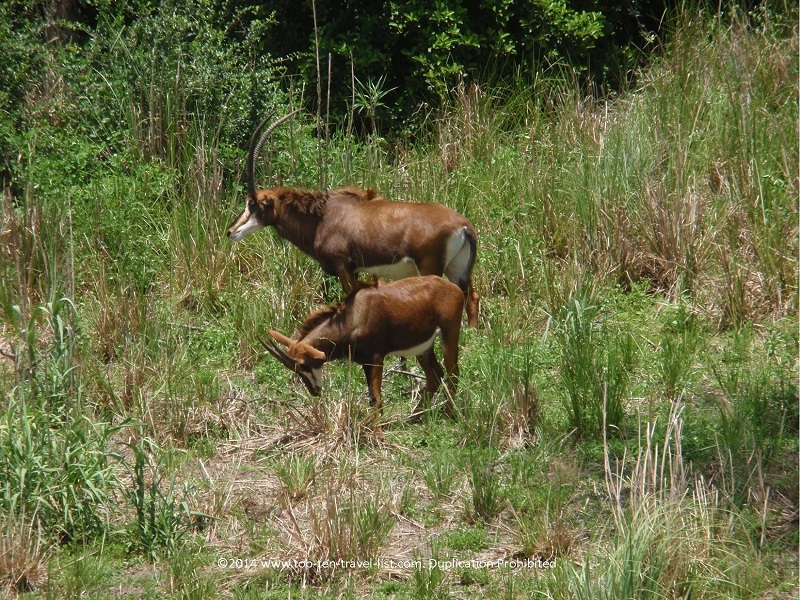 The setting mimics the animals real life wildlife habitat, hence, giving you the less the feeling of being at a zoo and more the opportunity to experience a true safari ride. The animals have plenty of space to roam as they would in the wild. Animal Kingdom is split up into several different sections. 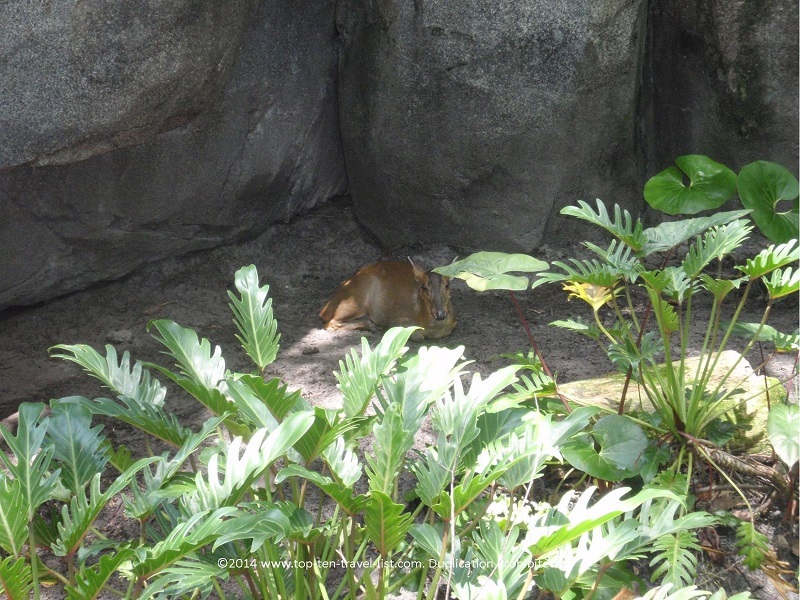 In Discovery Island, you can see small animals such as ring tailed lemurs and red kangaroos. 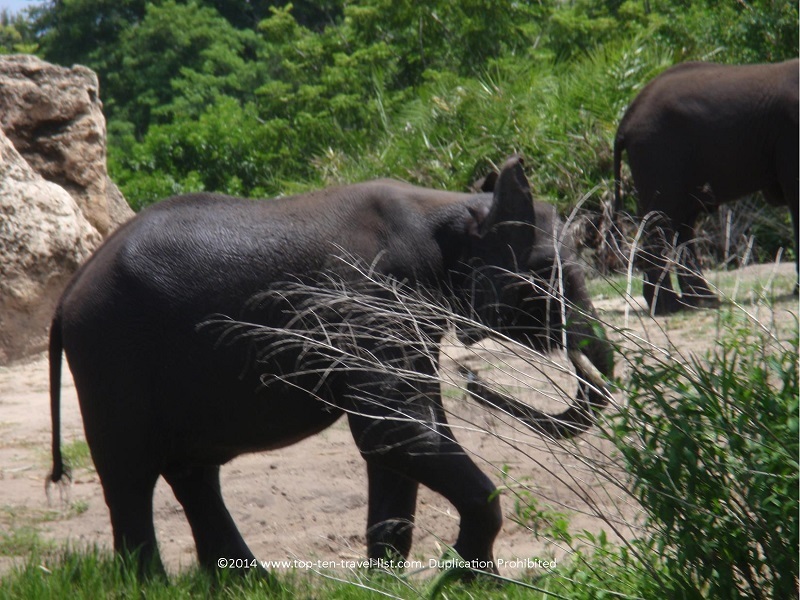 Maharajah Jungle Trek takes you to Southeast Asia where you will see tigers, fruit bats, and 50+ species of birds. 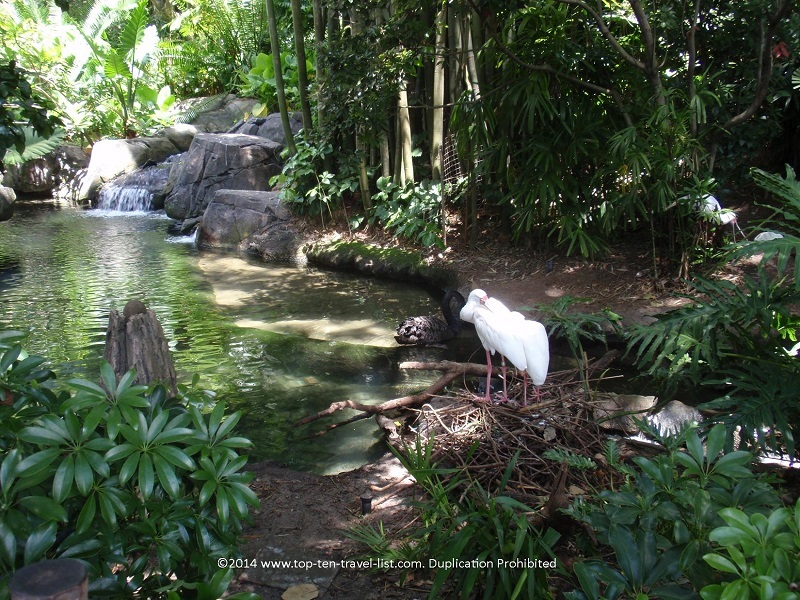 The Oasis Exhibits is a tropical exhibit featuring anteaters, wallabys, and spoonbills. 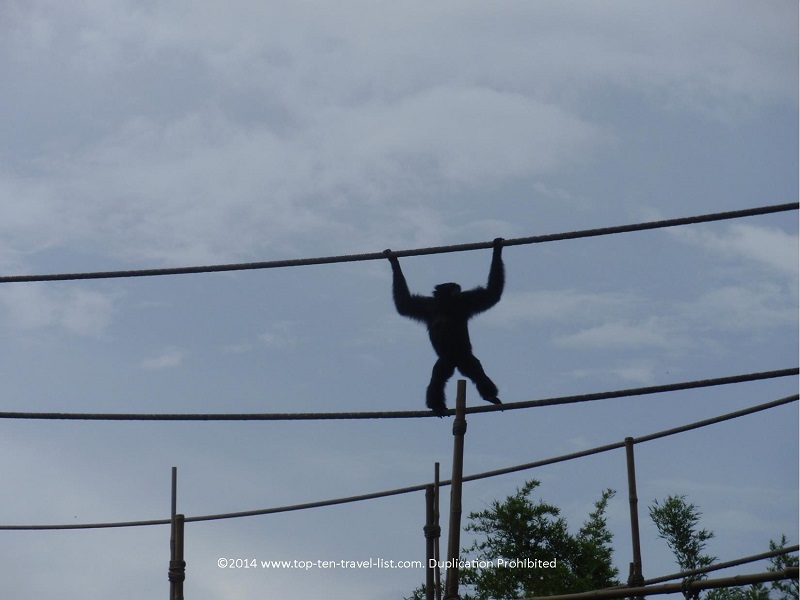 The Pangani Forest Exploration Trail is one of the best areas in the park with plenty of opportunities for up close views of gorillas and monkeys. 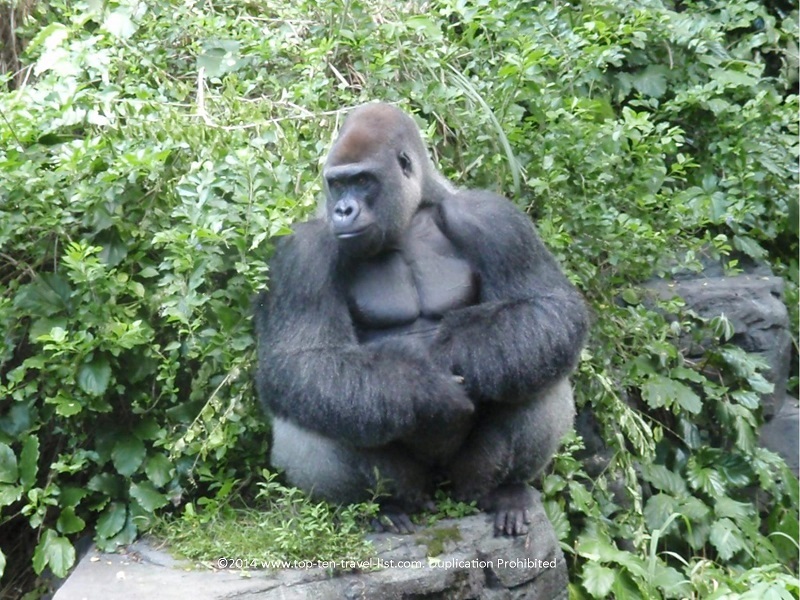 You also have the option of purchasing admission to a separate 3 hour safari tour. A complimentary photographer takes pictures for you so you can sit back and relax. 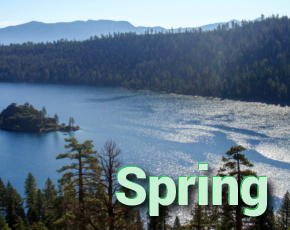 The tour is quite pricey at a starting rate of $189, however, if you are looking for a more in depth tour it may be worth the splurge. Dining choices within the park include casual choices like Pizzafari and Kusafiri Coffee Shop and Bakery to unique themed restaurants like the Rainforest Cafe, a popular tropical themed restaurant and Tusker House Restaurant, an African themed buffet. The park is beautifully landscaped and well-maintained. Waking around viewing the animals is a peaceful experience, quite different from the hustle and bustle of the other parks. This is a great park to visit after 2 or 3 fun filled, yet exhausting days of all day rides and attractions at Hollywood Studios and Magic Kingdom. 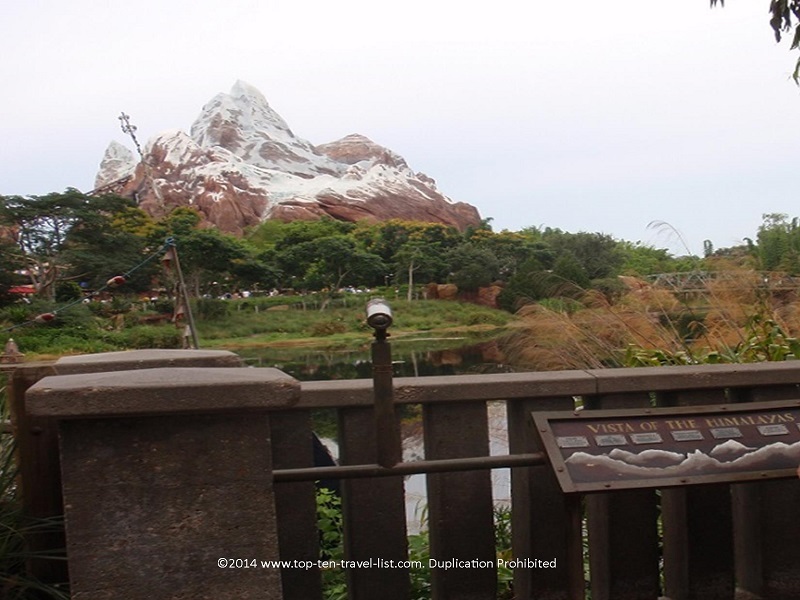 Besides the popular Expedition Everest ride, this park tends to get a bit less crowded than the others. The best budget option is Windsor Hills Condo Rentals in Kissimmee. You will need to rent a car, however, the rates are extremely affordable ($90-130 for a 2/3 bedroom), a full kitchen is included, and plenty of extra amenities to enjoy after a long day at the park (pool, spa, and game room). If you are looking for more of that Disney experience, you can check out one of the Walt Disney World Resort Hotels like Disney’s Animal Kingdom Lodge. Rates start at $284 per night and include transportation to the parks. 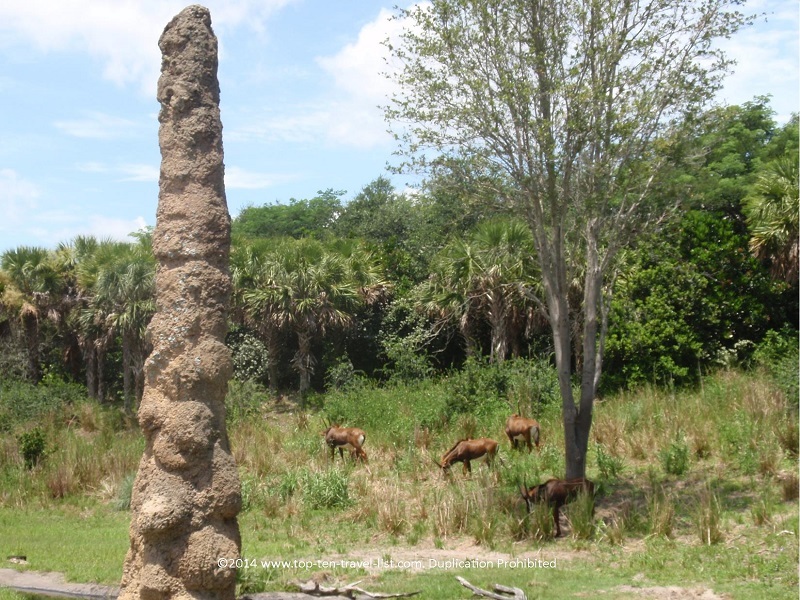 The resort is located on a preserve which is home to more than 30 species, including: giraffes, wildabeest, and zebras. 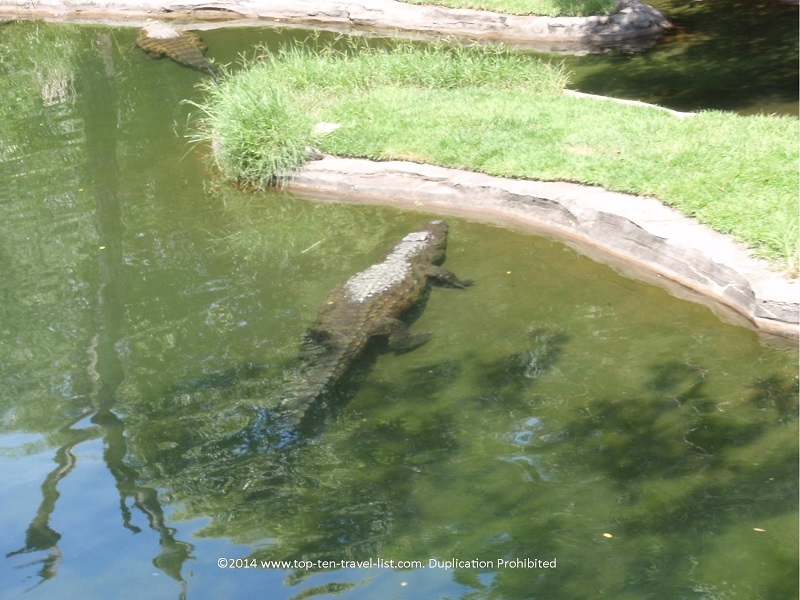 You will be available to view the animals throughout the large glass windows of the resort, or by sitting on your personal hotel room balcony (select rooms). Staying at Animal Kingdom Lodge is the perfect addition to your Animal Kingdom theme park adventure. *Bring with plenty of water. A hydration water backpack is perfect for hot summer afternoons. *Bring with snacks. Park food is pricey. *Bring with a camera. 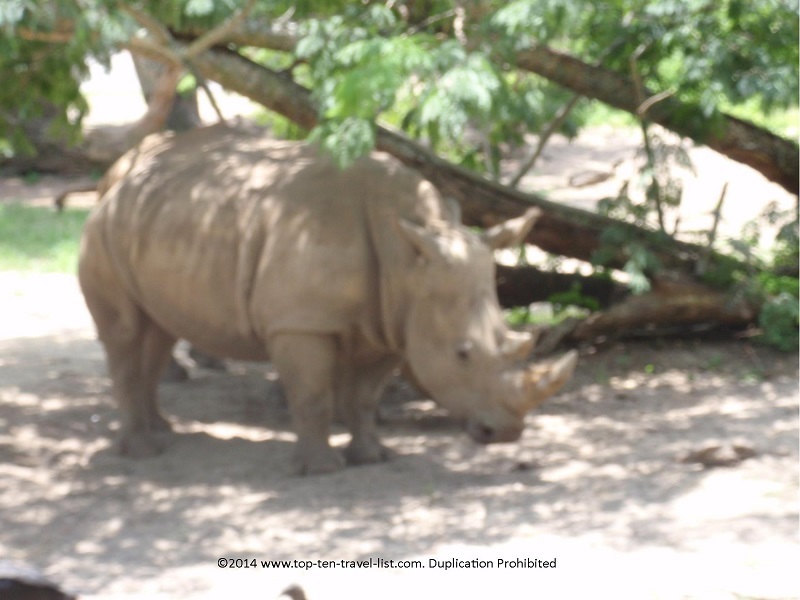 There are plenty of excellent wildlife photography opportunities, especially on the safari ride. *Skip Kail River Rapids if you do not want to get wet. On the other hand, if you want to cool down for the day, ride it in the middle of the afternoon. This will cool you down for several hours! *Visit during the early weeks of September or November for the fewest crowds. 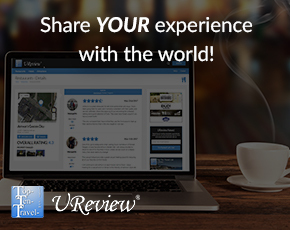 *Plan at least half a day for your visit to give yourself enough time to enjoy all the attractions, shows & animals. 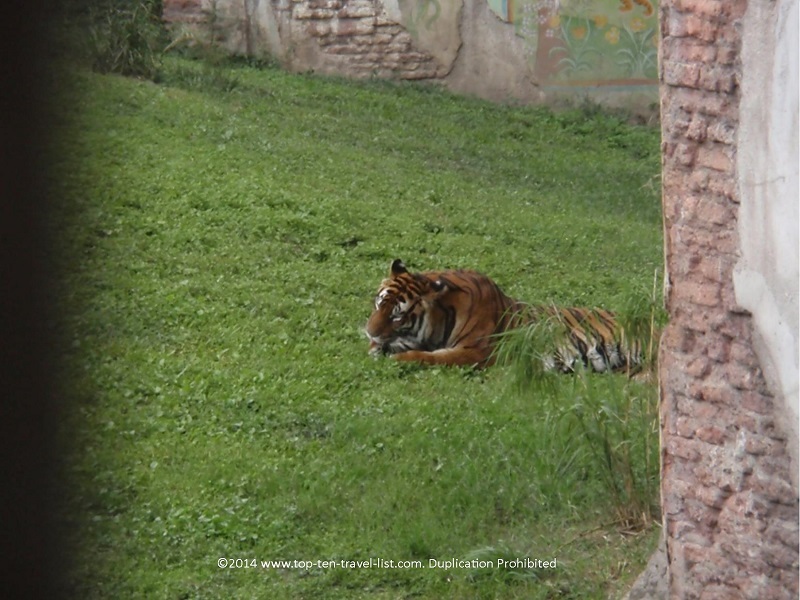 Address: Animal Kingdom is located at: 2901 Osceola Pkwy, Lake Buena Vista, FL 32830. Parking: It is free for resort guests. If driving from another hotel, prices are $17 for the entire day for all Disney theme parks. The parking lots are enormous, however, there is a complimentary tram to the entrance. Pricing: Theme park tickets vary based on the number of days you buy and the number of people in your party. A one day ticket is $94 per person($88 for ages 3-9). Check out all the pricing options on the Walt Disney World theme park tickets page. Hours: Animal Kingdom is open everyday from 9:00am-7:00pm (closing times vary during the winter season).